Current Analysis and Prospects for the Future"
All those interested in EUV astronomy including former and current Extreme Ultraviolet Explorer (EUVE) Guest Observers and users of the EUVE archive are invited to a three-day conference to celebrate the many accomplishments of the EUVE mission. The conference will be held 22-24 July 2001 in Jenner, CA. This conference will include presentations of a number of new research results as well as review papers. We encourage papers which are specifically on EUVE science results as well as papers which relate EUVE science to the rest of astrophysics. We will have invited speakers give talks on the main areas of EUV astrophysics, highlights of which will be in response to the conference theme "continuing the challenge of EUV astronomy: current analysis and prospects for the future." 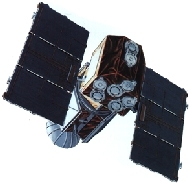 The EUVE satellite was launched in 1992 and carried out the first comprehensive all sky EUV survey. Staff The EUVE team, including its base of Guest Observers, accomplished all of the EUVE scientific, technological, and outreach goals and has paved the way for follow up missions. A catalogue of over 1500 point sources was produced as were diffuse sky maps. Results from the brightest EUV sources, observed spectroscopically through a Guest Observer Program, will be summarized and reviewed in this conference. The EUVE mission pioneered a number of approaches to reduce dramatically the cost of observatory operations including transition to automated "lights out" operation and outsourcing of the mission by NASA to a University run operations center. The EUVE Project also forged strong national partnerships in the process of implementing long-term interface between the scientific and educational communities in its Public Outreach Program (E/PO). Presentations at the conference may address the technological as well as E/PO achievements of EUVE and their relationship to the future of EUV astronomy. If you have questions about this conference, please send e-mail to Jennifer Cullison, the conference coordinator, (jennifer@ssl.berkeley.edu). For other questions on the workshop, contact Jean Dupuis, chair of the Local Organizing Committee (jdupuis@ssl.berkeley.edu).